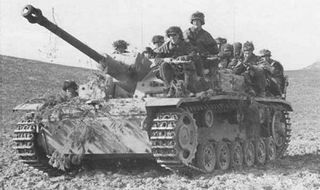 The StuG III Ausf.B looks and plays a lot like its tier 5 older brother, the StuG III Ausf.G. 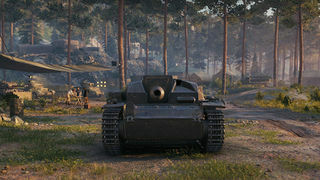 Using the tanks high speed and maneuverability, you should generally stay away from enemies and damage them from afar with your weak armor and good mobility. 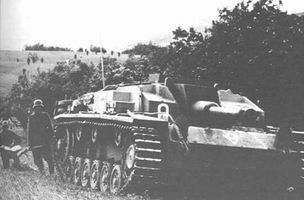 Unlike the Ausf.G, the Ausf.B has two viable gun choices - the 10.5 cm howitzer, or the long-barreled 75 mm. 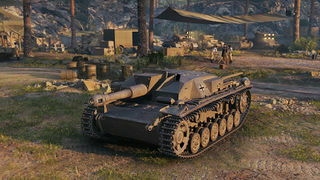 The 75 mm lets it play as a traditional sniper with its great accuracy and good penetration, while the 105 will one-shot most tanks your tier and below, similar to the Hetzer. 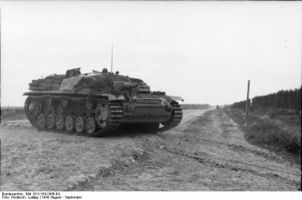 Upon a fresh purchase, one will sadly find out that no module carries over from the Marder III. 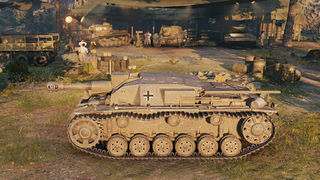 The priority should be getting the 7.5 L/43, since the stock gun is simply laughable even in tier 4 matches. With proper firepower, one should then research the engines: these are reasonably cheap and compatible for many Pz. III and Pz. 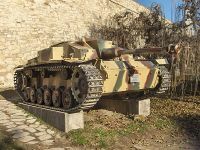 IV chassis vehicles. 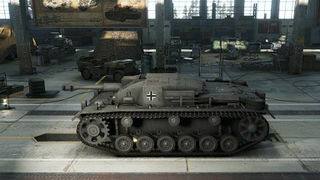 Then, research the tracks to unlock its full maneauverability; Finish by researching the top guns, and the radio.